People go to the countryside to get away from it all. After a busy week of work and hectic school runs, a weekend away in a family-friendly rural retreat like Chesters Stables is the perfect tonic. With a history going back more than 200 years, we were excited to see what the newly-refurbished Chesters Stables had in store for us. We’ve stayed at Walwick Hall Hotel in the past as a couple and loved it, so when we found out the estate was opening new luxury self-catering accommodation we couldn’t wait to try it out with the kids. Tucked away in the heart of Northumberland, these seven luxury self-catering Stable Suites strike the perfect balance of homely and luxurious. We chose to stay in ‘The Hayloft’ but also loved the look of ‘The Stallion’, which has kept many of Chesters Stables’ original equestrian features such as exposed brick walls to the original stable partitions, and ‘The Clocktower’, which boasts a beautiful open-plan layout with a contemporary spiral staircase leading upstairs. 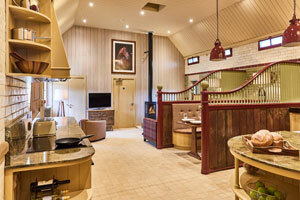 Chesters Stables is the epitome of self-catering in style. Although our Stable Suite was incredibly luxurious, it was clear it had been furnished with families in mind too. The king-sized beds were the comfiest we have ever experienced and the sleek open-plan kitchen made cooking a real treat. But at no point did we feel under pressure to cook either. Ahead of our arrival, we received an email offering us a range of additional dining options to help make our stay as hassle-free as possible. For nights we didn’t want to cook but did want to stay in, we arranged for the hotel’s chefs to prepare meals for us and deliver them to our Stable Suite with simple heating instructions. Such a treat! If you want to make things even easier, locally stocked welcome hampers can be pre-arranged and you can even request for one of Walwick’s very own chefs to come down and cook for you in your Stable Suite - a great idea for special occasions. They also offer a luxurious in-room spa service, so you can choose to enjoy a treatment from one of the hotel’s wonderful Spa therapists in the complete privacy of your Stable Suite. 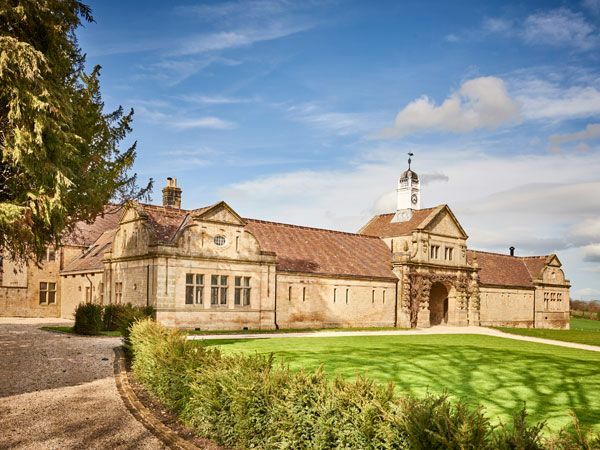 Nestled in 100 acres of beautiful countryside, there was no doubt in my mind that Chesters Stables would bring us the picturesque setting and the complete luxury that we wanted for our countryside getaway. But with two adults and two young children in tow, would there be enough to keep everyone entertained? We quickly realised that there was so much to see and do near Chesters Stables that we were, in fact, completely spoilt for choice. There’s an abundance of family-friendly activities to enjoy in the local area too, from horse riding to nature trails. The vast and spacious surrounding countryside proved to be a natural playground for the kids, who loved having so much room to play outside. 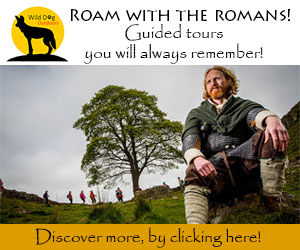 During our days, we explored Kielder Water on a family bike ride and immersed ourselves in the fascinating history of Hadrian’s Wall and Chesters Roman Fort, both of which are on Chesters Stables’ doorstep. Complimentary walking leaflets were left in our Stable Suite too, which we had great fun trying out together. For once, we didn’t hear the words “I’m bored” all weekend - success! All guests of Chesters Stables have full access to Walwick Hall Hotel over a grassed path (or a complimentary shuttle bus!) too which we loved. Having such a lovely restaurant and Spa just up the road truly made all the difference to our stay. We’re big believers that it’s the little things that make all the difference in self-catering accommodation, and it’s safe to say that Chesters did not disappoint. This luxurious bolthole has all the makings of a perfect weekend break in the countryside for the entire family. We’re already looking forward to our next trip there. And next time, we’ll be returning for longer.